We interrupt this regularly scheduled broadcast to inform you it’s not all doom and gloom in the Bay Area arts scene! 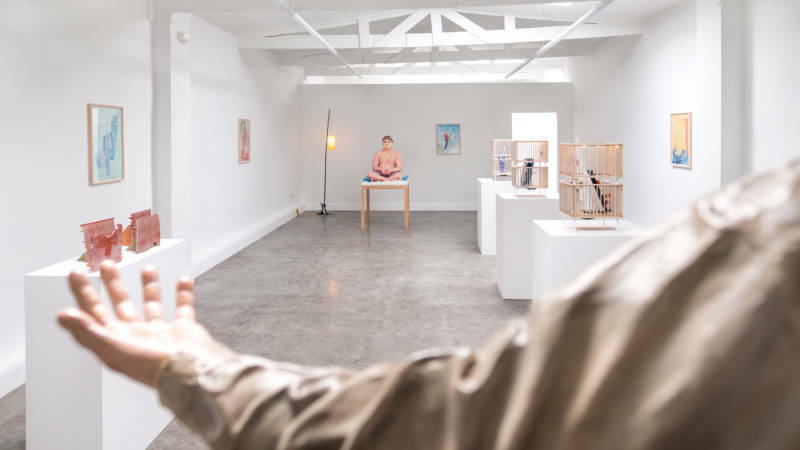 Just a month ago, a new San Francisco nonprofit visual art space named / (pronounced “slash,” obviously) quietly opened on Minna Street with a two-person show of Los Angeles-based artists. /’s goal, according to founder and director Ana Saygi (a recent CCA MFA graduate), is to bring international artists, especially those less known in the Bay Area, into conversation with each other in a series of two-person exhibitions. The first year of programming, which includes five pairings, will be curated by another Los Angeles-based artist and filmmaker, Drew Heitzler. 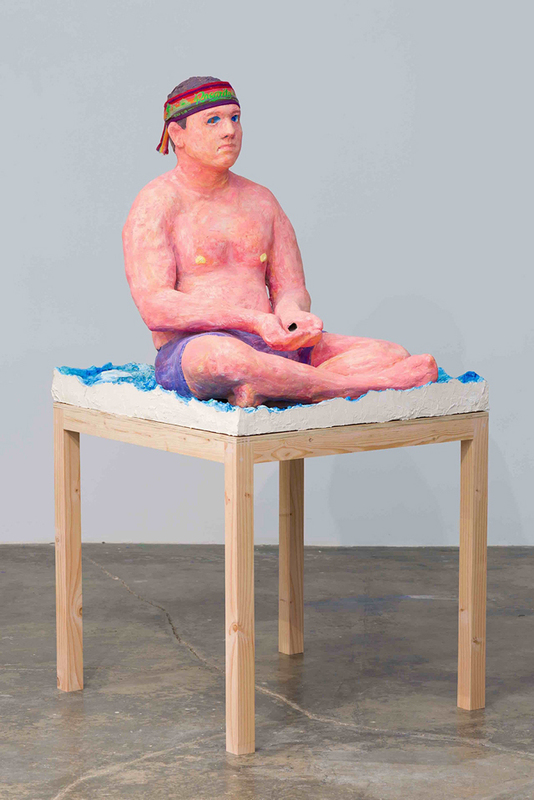 The current (and inaugural) show, featuring work by Hannah Greely and Calvin Marcus, fills the stark white gallery with colorful, sometimes absurdist sculptures and framed works on paper, creating a strange and playful oasis completely removed from its South of Market surroundings. For example: Greely’s Beholder is a tempera-painted figure of a cross-legged man wearing a garish bandana whose eyeballs (marbles) can be poked back into his head to travel two zig-zagging tracks that deposit said eyes in the statue’s upturned palms. A quote from my own reaction to the piece: "Ha!" Another example: Next to Beholder, Marcus’ Fish Lamp (Floor) uses a base of curved ceramic fish to support a bamboo pole, fishing-rod style, and dangling lantern. Are the fish fishing? You’ll have until Dec. 22 to visit /'s first pairing show and decide for yourself.